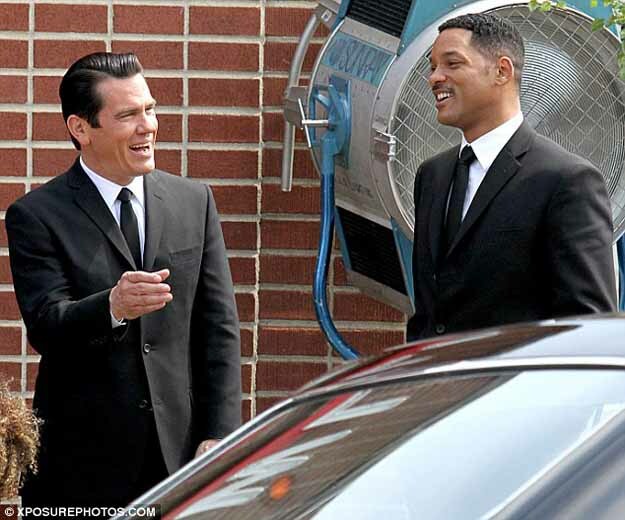 New photos from the New York set of Men in Black III have appeared online courtesy of xposurephotos.com and The Daily Mail. 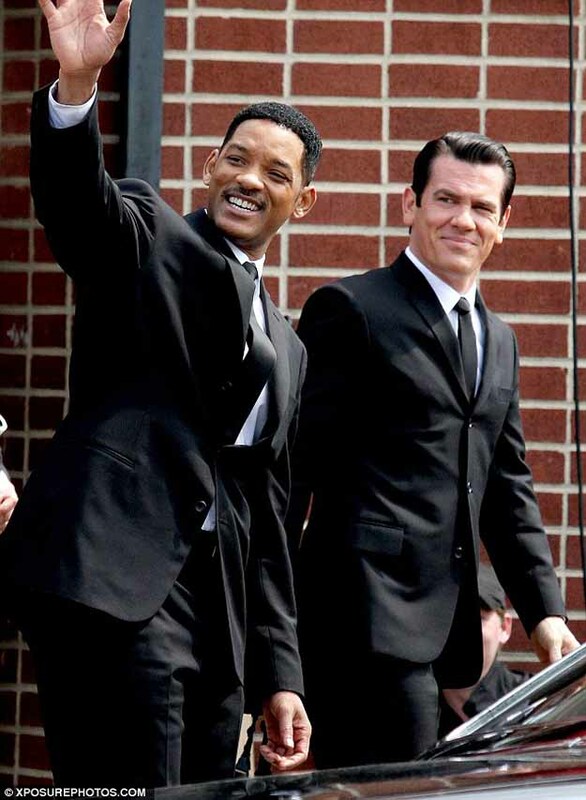 The below images feature Will Smith as Agent J and Josh Brolin as Agent K (a younger version of Tommy Lee Jones’ character). The plot is said to feature J traveling back in time and teaming with the younger K against a villain played by Jemaine Clement. 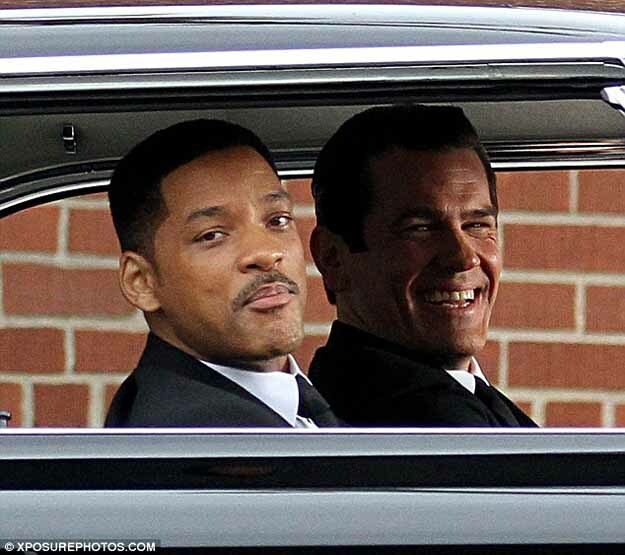 The rest of the cast includes Emma Thompson, Nicole Scherzinger and Alice Eve.